OurEnergyPolicy.org | Is Our Understanding of Fukushima Backwards? Is Our Understanding of Fukushima Backwards? The meltdowns at three nuclear plants at Fukushima, Japan almost three years ago were an economic disaster, but were these plants inherently unsafe? Did the Fukushima designs provide adequate safety during extreme circumstances? The magnitude 9 earthquake that hit Japan in 2011 was its largest ever. However it was the enormous tsunamis that led to meltdowns. At Fukushima the spent fuel pools never leaked water in spite of the earthquake, its aftershocks, and tsunamis. 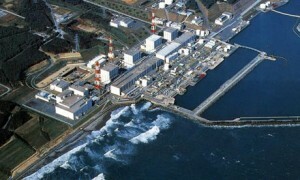 Even Fukushima’s emergency power systems initially survived the earthquake, only to be soon destroyed by the tsunamis. The nuclear plants at Fukushima were in an extreme situation. The electric grid and the emergency power systems were knocked out, leaving operators in a blackout condition. Tsunamis flooded various areas and buildings. Hydrogen generated by the meltdowns was not harmlessly vented. The containment venting systems could not be quickly opened because they lacked electric power. Reactor buildings were destroyed when the hydrogen that collected there exploded, sending debris flying and further impeding plant access. Post-accident plant improvements will prevent a recurrence of this venting issue. The earliest environmental release of radioactive material started at 13 hours and was a small percentage of the total radioactive inventory. Small and delayed releases are consistent with previous blackout studies by the Sandia Laboratory on a similar plant, where no near term radiological health effects were calculated. This was confirmed by the World Health Organization which concluded that there were no early radiological health effects and long term health effects would be too small to be detectable statistically. Beyond the economic losses, the major losses from Fukushima were fear, not fact, driven. More than 1,100 needless excess deaths came from over-evacuating and long term sheltering. Japan, Germany, and California, all with reductions in nuclear electricity, are burning more fossil fuels. Meanwhile, China, Russia, and South Korea strengthen their economic futures selling and servicing new nuclear plants worldwide. Misunderstanding the full story of Fukushima is a profound mistake. Did the Fukushima designs provide adequate safety during extreme circumstances? How should our understanding, or misunderstanding, of Fukushima impact our approach to nuclear power? 13 Responses to Is Our Understanding of Fukushima Backwards? That’s a nice re-invention of ti situation, but sadly not true. According to a 2014 NBC report, they state, “Another obvious sign is the recent mass migration of radioactive debris the size of California across the Pacific Ocean”. BBC News in the U.K. reported last year that literally millions of tons of radioactive debris had begun traveling across the Pacific Ocean, and that some of it had already impacted Hawaii and even the West Coast. There has also been a series of strange animal deaths recently, including masses of sea lions, sockeye salmon and other sea creatures washing up on the shore. Many of the polar bears, seals and walruses observed along the Alaska coastline have also been found to have major fur loss and open sores, both of which are indicative of radiation poisoning.” So anyone saying these economic losses and potential ocean impacts in the food chain have no meaning are seriously mistaken. It will be decades before we know the impacts, and the units are still leaking radioactive water into the ocean/ The WHO report cited only stated “there were no early signs” but did not conclude there was no health impact. Most radiation impacts occur over longer cycles and it is disingenuous to make people believe what happened is comparable to a wind turbine falling over. Just not so. The direct questions posed here are whether the designs of the reactors at Fukushima were adequate, and how our approach to nuclear power is impacted by a correct or incorrect understanding of the technical issues. However, the implicit question is whether irrational fear drove policy choices in other countries in the aftermath of Fukushima. I would only like to make two points, one a correction and one of a more philosophical nature. First, the German decision to eliminate nuclear power by 2022 was a long-standing wish of the majority of the country that had been briefly overturned by the governing coalition at the time. Fukushima in some ways finally resolved one of the key divisions in German politics and re-asserted a decade-old decision. Along the way, Germany increased its share of renewable energy in the electricity mix to the point where nuclear power is essentially superfluous. Having said that, the reason that coal-fired generation has increased is completely unrelated to Fukushima, having to do more with the carbon prices that are too low in the European Trading System, which in turn comes from reduced economic activity since the beginning of the recession and an over-indulgence in granting initial permit allocations. In the longer-term, the large-scale move to renewables will likely prove to be the key opening to a sustainable future energy system. The more philosophical point concerns the fear factor. Put simply, is there another energy source about which we would be even remotely justified in having so much fear? Even if the relatively harmless numbers stated by the author were exactly true in this case, there is no guarantee that would be the case for the next accident, or the one after that. With proper political will, we would be able to deal with the large number of excess deaths due to coal-fired power plants, as we know precisely where these come from on a continuing basis. In the case of nuclear power there is always a small probability of large catastrophic events. Over time, the recognition of the need for increased efforts to guard against these unlikely events has led to the situation in which nuclear power becomes increasingly expensive (Grubler, Energy Policy v. 38 2010). In the end, it appears to me that an energy source capable of generating such a large amount of “irrational” fear might not be worth pursuing for that reason alone, putting aside high and externalized costs of electricity and unresolved problems with waste storage. Just one question. Germany’s plan to build more coal plants. I agree the closure of nuclear probably did not justify the return of coal. I have been led to believe the much of the need is to back up unreliable wind and solar. Can you clarify for me? My take on the German situation is that there is now a struggle to determine the exact future path of the electricity system. The large utilities see themselves losing market share, first because of the nuclear plant shutdowns and then the increasing share of wind and solar. There are plans to build coal plants, but at the same time, this past year utilities were threatening to take capacity from conventional thermal plants off-line (which they are not allowed to do unilaterally) because the spot market price for electricity have dropped so significantly that it often does not allow them to make money. The price has dropped mainly because of large shares of renewables – a savings that has in general not been passed on to consumers. Although I spend time in Germany each year working on some climate mitigation research, I would not claim to be an expert in their electrical markets. However, I do see that there is a great deal of work on storage options, some demand-side management, smart grids, electrification of transportation (minor as of now), etc. In general, however, I would say that as soon as some of the market distortions currently seen in the ETS carbon market are removed, bringing prices back up to rough expected targets of 20-30 Euros per tonne, coal will no longer be a viable option. That does not mean that Germany does not have challenges that arise from high penetration of variable renewables, but thus far they have actually been exporting more electricity each year than before Fukushima and their partial shutdown of nuclear plants. When nuclear power plants are evaluated for safety they are only evaluated from a mechanical risk and site risk standpoint. We have been assured that this process should allow accidents to occur thousands of years apart. To simplify the discuss, let’s assume this is really true. Since we clearly have more accidents than these assumptions allow-for, we must attribute these accidents to human error and/or malfeasance. So the real question is this. What is the likelihood that one or more people somewhere in the process of siting, designing , building and running these plants, will commit errors or willful disregards of safety that lead to castastrophic results? Fukushima Daiichi can only teach us if we are willing to learn. If people had just done everything they should have done according the standards and regulations, none of this would have happened. As long as saving money trumps good engineering judjment, then the problem is intractible. In reality, there is any number of good solutions for nuclear waste, but again, it is not profitable enough to be responsible. Fukushima is just getting started, with three Corium in the ground that will contaminate ground water for thousands of years. So the radioactivity of the Pacific Ocean is low—So what? The molar ration of Cesium 137 to Potassium is very worisome, especially when we start projecting the ongoing contamination from the rogue cores. That is the critical number for living organisms. For example the concentration of K+ in the nucleus of cells can be more than a hundred times greater than the average for the entire organism. DON’T BUILD BELOW THIS. . . THE WATER CAME THIS HIGH! The new seawall standards will only save them from the next Tsunami as long as it is nowhere near as high as these monuments. Besides, TEPCO admits they were advised that a Tsunami could inundate the plant and they went shopping for another opinion!!! Fuel Pond Numbers 3 & 4 could fall at any minute. This coudl lead to evacuation of Central Japan. Have we moved spent fuel storage from high in the buildings of all the GE Mark IV reactors in this country. Have we shut down any power plants that are downstream of any derated earthen dams. We nearly had a Fuku replay during Hurricane Sandy. To fail is human, but it takes a Nuclear Reactor to really screw things up!!! One could make a case that the Fukushima meltdowns would never have occurred were it not for the fear and safety paranoia that were allowed to develop around the subject of nuclear power. The Fukushima reactor and plant designs were instances of a licensed and certified design that had taken many years and billions of dollars to get to. Getting approval to change that design in any way would likely have taken more years and hundreds of millions of dollars in new studies, and studies of the studies, before an official with little to gain and a lot to lose by going out on a limb would authorize the changes. When some engineer happened to observe that it was probably not a good idea to have all the backup generators together in a place that would be flooded if a really, really big tsunami happened to top the protective berms — well, what would you expect the reaction to be? Of course nobody acted on it. There had never been a tsunami that large in the hundreds of years that such things had been recorded in Japan. The approval process for any deviation from a design that was already certified made the idea of requesting a change, based on such an unlikely contingency, unthinkable. A high degree of concern for safety is laudable, but there’s a point at which it becomes counterproductive and even self-defeating. No book of rules and procedures can substitute for applied common sense. A few comments in response to your discussion re Fukushima, and nuclear plant safety evaluation in general. First of all, I would like to know who told you that accidents would be thousands of years apart, and if anyone believed it. I am unaware of any such assurances by responsible nuclear managers, and I have been active in the industry since the late 1960’s. The Fukushima plants are American (GE) designed boiling water reactors. We have many of them operating safely and successfully in the USA and elsewhere in the world. We should be aware that nuclear plant safety evaluations go well beyond mechanical and site risks, although I am not sure what you mean by “risk”. The safety evaluations we did back in the 1970-80’s were considered adequate, and thus far have proven to be adequate; although you may consider that the human operator error(s) at TMI were an unevaluated safety issue, as was the particular sequence of events that occurred. In any event US nuclear operations have proven quite safe in comparison with the Fukushima accidents, TMI being far less serious. First the design basis accident has to be established. This is a definition of the specific worst conditions; hurricane, earthquake, flood, tsunami, Airplane crash, etc. and the resulting loads and forces that could impact the plant site. The postulated events are based on worst case historical records. In addition to natural events, the worst credible system or equipment failure must be postulated; including multiple failures from a single incident, and consequential failures resulting from initial failures. In short, a rigorous failure effects analysis is undertaken. This analysis addresses site risks as well as mechanical, electrical, structures, systems and equipment. The Japanese to their credit, have had an excellent program. They have adopted many (probably most) US best practices as well as US designs. We all know that Fukushima’s design basis did not anticipate the magnitude of the earthquake or the tsunami that occurred. That is why the accident happened; it is the root cause of the disaster. Every other failure was caused (directly or indirectly) by, or magnified by, the intensity of the tsunami / flood. It seems to me that nothing at all, no structures in the Fukushima area were designed for the earthquake or tsunami they experienced. The nuclear disaster, after all is said and done, may not have been the worst thing that happened, depending on what you believe about the long term effects of the radiation release. There was plenty of devastation to go around. Yes, if the Fukushima plants were fuelled with coal there may have been less damage. If gas or oil fuel, it could have been worse. This introduces questions about risk assessment in general, and the probabilities that may justify spending our limited resources. Rising sea levels and storm floods. CO2 limits are not likely to fix this problem, if it is a continuing problem. Tsunami, many possible catastrophes. The worst may be the collapse of a Canary Island mountainside into the Atlantic ocean which could hit the east coast with a 100 foot high tidal wave. This, scientists tell us, will happen. We just don’t know when. If we are to be overwhelmed with worry about nuclear risks, we should try to keep it in perspective. The probability of occurrence as well as the probability must be considered. In my opinion, the risk presented by poverty in the world is the most serious issue we face. I have seen it, and I know its effects. I missed the news about hurricane Sandy and the near miss at a nuclear plant. Do you have a reference? I can’t claim to be an authority on nuclear reactor safety or the health effects of various levels of radiation exposure. I do follow those issues as they surface in science magazines and popular web sites. I’m also still enough of a physicist to be able to dive into the professional literature on occasion and sort what does and doesn’t make sense. On that basis, I’m inclined to credit the studies that disprove the “linear, no threshold” model for radiation effects. The model never did make any sense to me in the context of the evolutionary environment. Background radiation has been present since before life on earth got started. Given that, it’s to be expected that terrestrial lifeforms have at least evolved various means to cope with it, and likely even depend on it. It makes no sense at all that variations in exposure levels that are small in comparison to natural variations from one locale to another would have major adverse effects. Yet that’s the scale we’re looking at for exposure levels beyond the near vicinity of the melted Fukushima reactors themselves. Unfortunately, the truly cataclysmic effects of the super-tsunami itself get conflated with the cataclysmic effects we’ve been led to fear from a nuclear meltdown. The association leaves most people with the take-away that “nuclear power is unsafe”. The chart won’t load. Please refer to the chart in this link! Part of the problem is that the nuclear industry has influenced the Government to ignore well-known data in other fields. For example consider the following excerpt from a paper I am writing. Check out the Bio-magnification of Cesium 137 at a level of only 10 Bq / m^3 of Seawater, that is expected off of California, any time this year. Yes, the ocean is not that radioactive, but this is not what matters. What matters is the Bequerals per Mol of Potassium in one m^3 of seawater, When living cells scavenge for Potassium, it picks up whatever Cesium137 is in the Water according to their molar ratio. Key parts of living organisms collect Cesium 137 to a level that is hundred of times higher than what is found in the sea water. Compare 10 Bq/ m^3 in Seawater to the concentration inside of the smallest, but most important, yet most vulnerable parts of our bodies. Comparing average internal radiation to the same amount of external radiation doesn’t even begin to paint a true picture. Even taking average tissue concentrations such as in the Thyroid does not tell the true story of damage to our neurons and our genetic and control structures in the nucleii of cells. There is an enormous eco-collapse going on right now in the pacific. Everything about it looks like radiation sicknesses. However, they just keep repeating the nonsense about the low average radiation in the water. They never discuss the fact that the molar ratio of Cesium 137 and Potassium is the key insight. By the way, Cesium 137 is about 800 times more radioactive than plutonium, and Cesium disolves in water and stays there as persistently as salt. Suppose we say that the risk of operating one plant would be expected to be one in ten-thousand years. That sounds pretty good until you remember that we have more than four hundred of these things operating at any time. So now you must expect a major accident once every twenty-five year. As I said in the previous post, you can’t compare average rates of radiation. Ingestion is far worse. They used to put 1000 Bq /liter water as low-level waste. Now that is our food and water maximum. Are all of these researcher anti-nuke wackos??? 1. Antipenko, AE, Kalinski MI, Lyzlowa SN. Myocardial Metabolic Regulation under Different Functional Conditions. Russia: University Publishing House; 1992.2. Antonovych TT, Mostofi FK. Atlas of Kidney Biopsies. Washington, D.C.: Armed Forces Institute of Pathology; 1980.3. Bandazhevsky GS. The state of cardiac activity in children living in areas contaminated with radionuclides. Medical aspects of radiation exposure on the population living in contaminated areas after the Chernobyl accident: proceedings of the International Scientific Symposium. Gomel; 1994.4. Bandazhevsky GS. Functional modifications of myocardium in postnatal ontogenesis under the influence of incorporated radionuclides. PhD thesis. Moscow; 1996.5. Bandazhevsky YuI. Pathophysiology of Incorporated Radiation. Gomel: Gomel State Medical Institute; 1997.6. Bandazhevsky YuI. Pathology of Incorporated Radiation. Minsk: Belarusian State Technical University; 1999.7. Bandazhevsky YuI. Medical and Biological Effects of Radiocesium Incorporated into the Human Organism. Minsk: Belrad; 2000.8.. Bandazhevsky YuI, Bandazhevsky GS. Effect of radioactive elements, getting in the environment as a result of the Chernobyl accident, on the state of myocardium. In: Bandazhevsky YuI, Lelevich VV, et al (eds.) Clinical and Experimental Aspects of the Effect of Incorporated Radionuclides upon the Organism.Gomel: Gomel Medical Institute; 1995.9. Bandazhevsky YuI, Matjukhina TG, Zelenko GA. Ultrastructural response of the ventricular cardiomyocytes to the radiocaesium penetration. In: Morphological and Functional Aspects of the Radiocesium Effect Upon the Processes of Antenatal and Postnatal Development. Gomel: Gomel Medical Institute; 1998. p15-20.10. Bershova TV, Bakanov MI, Bokeria LA, et al. Cellular mechanisms of calcium regulation of cardiac rhythm in children with ectopic arrhythmias. Vopr Med Khim 1994 Jul-Aug;40(4):50-3.11. Botkin SS. Effect of rubidium salts and cesium on heart and blood circulation. MD thesis. St. Petersburg; 1887-1888.12. Vatutin NT, Kalinkina NV. Damaging of heart with cytostastics. Cardiology 1998;11:53-57. [sic]13. Vecherskiy GA, Baranov LG, Lisyutin VG. Handbook of Clinical Electrocardiography. Minsk, Belarus; 1985.14. Golancev NE, Sazontov TG. Changes in resistance of Ca-transporting system of myocardial sarcoplasmic reticulum during “urgent” and “long-term” adaptation to physical load. Biull Eksp Biol Med (Bulletin of Experimental Biology and Medicine) 1998 Jan;125(1):40-4.15. Dolgii NL, Danilova VV, Tregubov VS. The localization of radioactive cesium in bovine muscle tissue.Radiobiologiia 1992 Mar-Apr;32(2):284-7.16. Zhuravlev F. Toxicology of Radioactive Substances. 2nd ed. Revised. Minsk: Energoatomizdat;1990.17.Zaitsev VA, Balakleevskaia VG, Petrenko SV. The functional status of the hypophyseal-adrenal cortical adaptation system in children in Byelarus living under the action of low doses of radiation after the accident at the Chernobyl Atomic Electric Power Station. Radiobiologiia 1992 Jul-Aug;32(4):483-7.18. Health in Europe. The 1993/1994 Health for All Monitoring Report. WHO Regional Publications, European Series, No.56. Copenhagen; 1994.19. Ivanov GG, Smetnev AS, Syrkin AL, et al. The basic mechanisms, principles of prediction and prevention of sudden cardiac death. Kardiologiia 1988;12: 64-73. [sic]20. Kienja AI, Ermolitski NM. Vegetative components of the reactivity of children with different levels of incorporated 137Cs. In: Bandazhevsky YuI (ed.) Structural and Functional Effects of Radioisotopes Incorporated by the Organism. Gomel; 1997. p61-63.21. Bandazhevsky YuI, Lelevich VV Strelkov VV, et al (eds.) Clinical and Experimental Aspects of the Effect of Incorporated Radioisotopes upon the Organism. Gomel; 1995.22. Konoplja EF, Bagel IM, Shafranovskaja EV. Effect of low doses of ionizing radiation on the activity of the Ca2+ ATPase of sarcoplasmic reticulum of skeletal muscle. Belorussian Academy of Sciences Report (Biological Series) 1996;40(3): 86-89.23. Lelevich VV, Doroshenko EM. Effect of incorporated radioisotopes upon the pool of neurotransmitters in rat brain. In: Bandazhevsky YuI, Lelevich VV. (eds.) Clinical and Experimental Aspects of the Effect of Incorporated Radioisotopes upon the Organism. Gomel; 1995. p74-88.24. Malyhina AP. Bioelectrical activity of cardiomyocytes of irradiated organism during hypoxia. PhD thesis. Minsk; 1998.25. Mann T, Goldberg S, Mudge GN Jr, Grossmann W. Factors contributing to altered left ventricular diastolic properties during angina pectoris. Circulation 1979 Jan;59(1):14-20.26. Marey AN, Barkhudarov RM, Novikova NJ. Global Cs-137 Fallout and the Human. Moscow: Atomizdat;1974.27. Meerson FZ. Adaptive Medicine:The Mechanisms and Protective Effects of Aaptation. Moscow: Hypoxia Medical LTD; 1993.28. Meerson FZ. Primary stress-induced myocardial injury and cardiac arrhythmia. Part I Kardiologiia1993;33(4):50-59. Part II Kardiologiia 1993;33(5): 58-64.29. Miliutin AA, Kirpicheva TM, Lobanok LM. The effect of incorporated cesium-137 on the structure of the erythrocyte membranes. Radiobiologiia 1993 Mar-Apr;33(2):302-6.30. Nepomnyashchikh LM. Basic forms of acute injury to cardiomyocytes determined by polarized microscopy of myofibrils. Biull Eksp Biol Med 1996;121(1): 4-13.31. Nepomnyashchikh LM. Structural reorganization of the myocardium during exposure to extreme environmental conditions. Morfologiia 1997;112(6): 18-24.32. Nepomnyashchikh LM. Morphology of adaptive myocardial reactions under extreme environmental influences. Bulletin of Russian Academy of Medical Sciences 1997;3: 49-54.33. Nesterenko VB. Scale and Consequences of the Chernobyl Accident in Balarus, Ukraine and Russia. [sic] Minsk: Law and Economics; 1996.34. Paukov VS, Protsenko DD. Recombination mitochondrial transformations in damaged cardiomyocytes. Biull Eksp Biol Med 1998 Mar;125(3):244-50.35. Poliakova IA, Shornikova MV, Samorukova IV, Chentsov IuS. Cardiomyocyte chondriome ultrastructure after clinical death and in the postresuscitation period in rats. Biull Eksp Biol Med 1999 Jan;127(1):95-100.36. Schultz-Heсtor S. Radiaton-induced heart disease: review of experimental data on dose reponse and pathogenesis. Int J Radiat Biol 1992 Feb;61(2):149-60.37. Sidorenko GI. Prevention of cardiovascular diseases: urgent task of modern medicine. Medical News1999; 1-2: 4-8.38. Stepanov, YV, Voitsitskii VM, Preobrazhenskaia TD, et al. Effects of irradiation on fatty acid structure of membrane lipids of the sarcoplasmic reticulum. Radiobiologiia 1992 Nov-Dec;32(6):807-14.39. Bandazhevsky YuI (ed.) Structural and Functional Effects of Radioisotopes Incorporated by the Organism. Gomel; 1997.40. Khitrov NK, Paukov VS. Cardiac Adaptation to Hypoxia. Moscow: Meditsina; 1991.41. Shevchenko AS, Gabai VL, Kobialko VO, et al. Increased plasma membrane permeability for Ca2+ in radiation-induced thymocyte apoptosis.. Radiats Biol Radioecol 1997 Mar-Apr;37(2):220-7. A number of comments were received on my discussion piece on whether our understanding of the Fukushima accident is backwards. In order to respond to these comments comprehensively, a second report was written which can be found by using the following link. This second report discusses the necessity of increasing the use of nuclear energy, along with expanding renewable energy and greater energy efficiency, in dealing with the challenges of climate change and that the risks of not doing this far outweigh any perceived nuclear energy risks. This second report compares nuclear risks to renewable energy risks, describes a number of issues that are restraining the growth of both renewable and nuclear energy, and offers possible solutions to these issues. Specific Fukushima questions that were raised, such as reported increased thyroid cancers, impacts on fish and other sea life, underestimates of the size of the release of radioactive material from the Fukushima accident are dealt with, often by referring to in-depth analysis performed by highly regarded organizations, such as Woods Hole Oceanographic Institution. Of special interest are two recent actions, one in Massachusetts and the other in California, in dealing with climate change. In California’s Energy Future report it is concluded that no single energy source is sufficient to meet the challenges of climate change. Significant expansion of nuclear power is required, even with many improvements in energy efficiency. I conclude that the long standing debate between nuclear energy and renewable energy is worse than folly, it is dangerous and must end. It is not at all clear that the impacts of climate change can be sufficiently dealt with even if renewable energy, nuclear energy, and greater efficiency all worked together in harmony and in a synergistic manner. Broadly, I sympathize with Specter’s view. The significance of the Fukushima disaster has been misunderstood, exaggerated in some ways, and provoked an unduly wholesale rejection of nuclear power as an energy option. However, critics here make some fair points. Biomagnification makes even low levels of radioactive contamination a potentially significant ecological hazard. The dread factor, however irrational, has tangible systemic impacts that cannot simply be wished away. Shortt underscores the important point that poverty is arguably the gravest form of global pollution. OTOH, relative opportunity costs need to be considered. To those worried about greenhouse gases, nuclear power offers substantial benefits that cannot be easily matched by other available alternatives. Compared with the many, serious negative impacts of coal on the environment and health, nuclear power looks like at least a reasonable alternative, even considering plausible hazards it may pose. Other than hydropower, ‘renewable’ power sources — solar and wind — are yet too costly and unreliable to provide a realistic alternative for consistent, affordable baseload services. A key point that warrants emphasis here is that it’s a mistake to reject all forms of nuclear power because of the shortcomings of a single plant design or even a single category of nuclear technology. Fukushima employed an old plant design that was known to have some serious shortcomings. The Fukushima investigations exposed the corruption and ineptitude of TEPCO management — failures that do not necessarily characterize utility systems in other parts of the world. More modern designs would be far less vulnerable to the types of failure demonstrated in that particular case. And newer, more innovative technology can greatly reduce or even eliminate many of the potential hazards associated with conventional, light-water reactor designs. Of particular importance is the alternative thorium fuel cycle which is much less prone to disastrous failure and which yields far less hazardous waste. A more prudent response to the Fukushima disaster than simply giving up on nuclear power is to invest greater effort in improving it — to realize greater benefits with less risk and at lower cost. I think that Dr. Perelman has presented many valuable points. The issue of biomagnification has come up in earlier comments, so I will try to address it here. First, biomagnification does occur. It was seen in the post Chernobyl accident analysis. Radioactive iodine 131 was spread out over the Ukraine and Belarus, among other locations. Grasses absorbed this radioactive iodine reconcentrating it. Later, cows that ate these grasses further concentrated this radioactive iodine, making their milk contaminated. Subsequent studies by the World Health Organization attributed about 90% of the thyroid cancers from the Chernobyl accident in the Ukraine was due to ingestion by children who drank this contaminated milk. The WHO spelled out a grim choice that poor rural people had, assuming they even knew the milk was contaminated: Drink the contaminated milk or starve to death. Today emergency plans are more than protecting people during the time of the radioactive plume passage; they include protecting people from ingesting contaminated food. For example, each nuclear power plant in the United Staes has a 50 mile food ingestion zone which could be expanded if necessary. There are international emerency standards in place as well. Of particular interest are drinking water, leafy vegetables, dairy products, fish and other aquatic species. When the media reports that some food stuff, like fish, has a measurable radioactive burden near Fukushima what the public is actually witnessing are the protective actions being taken to prevent unacceptable food stuffs from reaching the public. While biomagnification is real, this does not translate into a public health concern as long as the planned- for emergency food ingestion preventative actions are being properly implemented.